When you give someone a gift card make it extra special for your loved one and make them a gift card holder to put it inside! 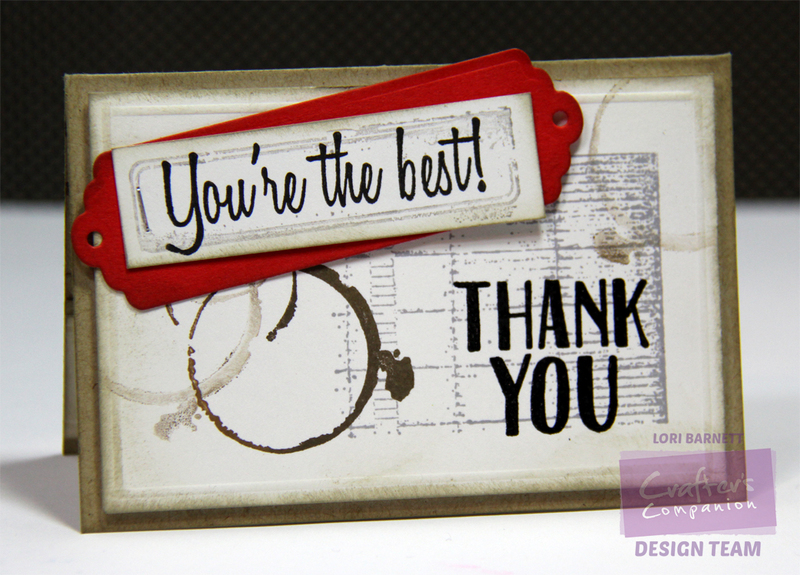 Lori has a fabulous tutorial for you here and she shows you how easy they are to make! You could also decorate the holder in many ways for different occasions, make some for Christmas, birthdays, Easter, Father’s Day just to name a few! 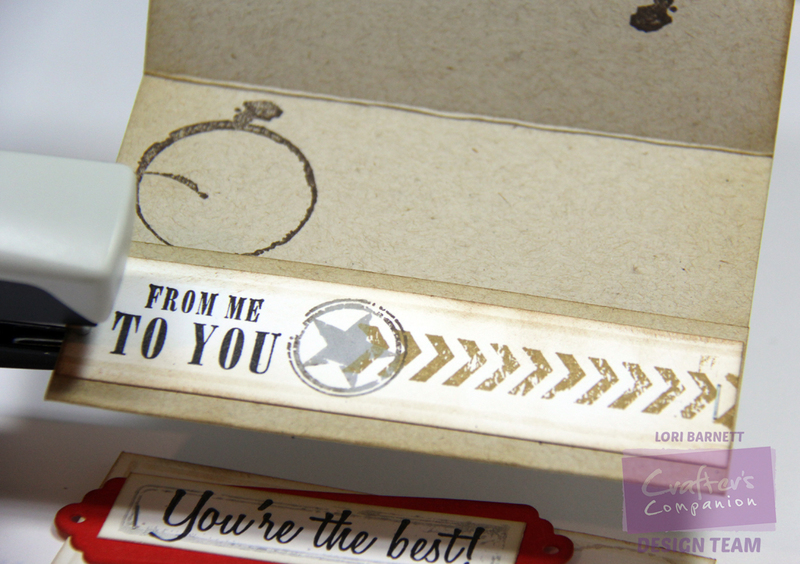 (please note: Lori has used some stamps only available in the US, but we’ve shared some suggestions for replacements in the supply list below!). Step 1: Cut one 4 1/4” x 7” piece of Kraft Cardstock. Score at 1 1/4” and 4 1/8”. Crease and Burnish score lines. Stamp images on the inside of card. The small end flap will fold to the inside to create a gift card pocket. Step 2: Cut one 4” x 2 5/8”; one 4 1/4” x 1” and one 2 3/4” x 3/4” pieces of White Cardstock. Stamp images. 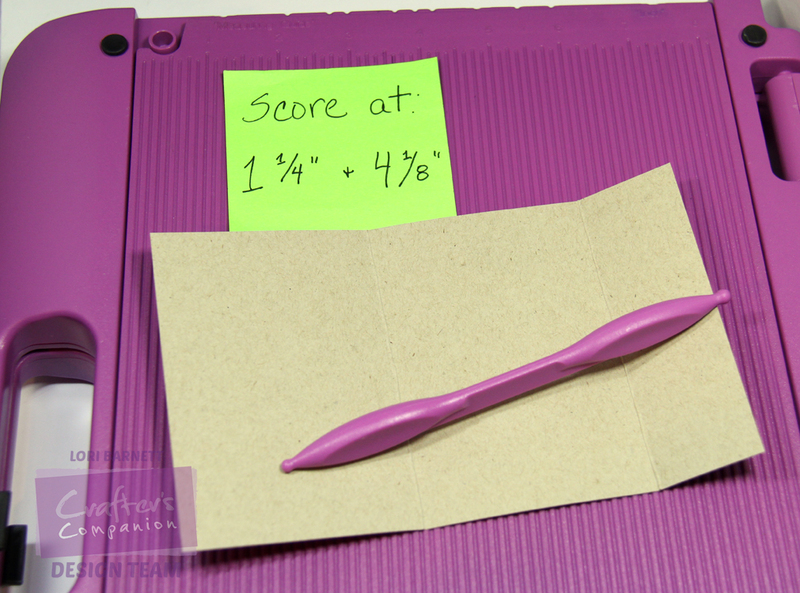 Score at 1/8” on all 4 sides of the front panel, and on the long edges of the inside panel. 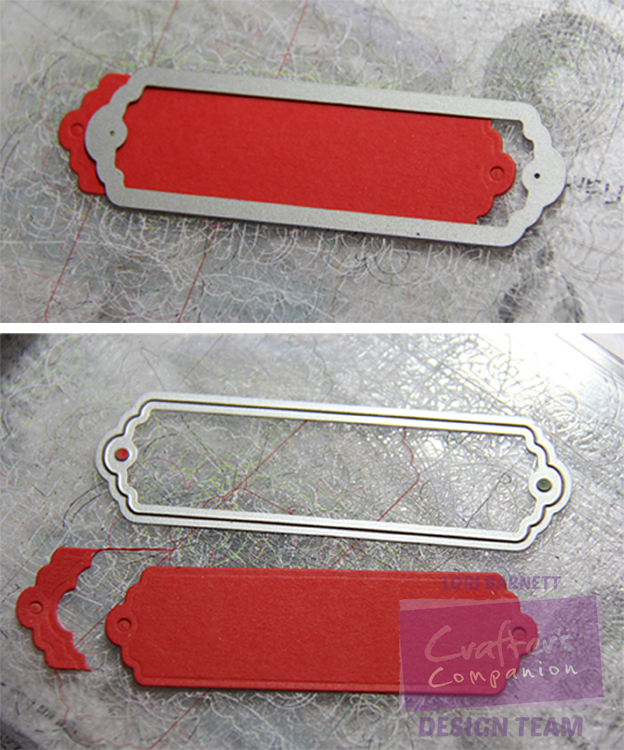 Step 3: Die-cut a tag from red cardstock. 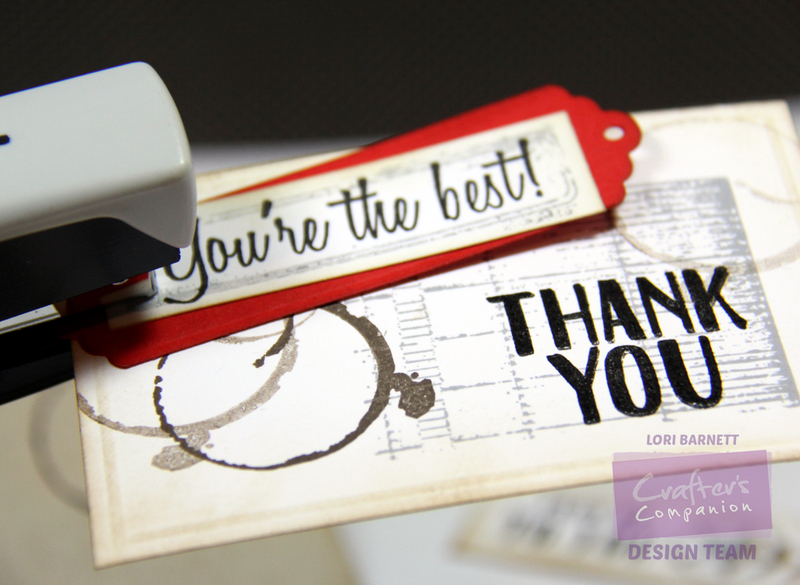 Tip: If the tag is too long, decrease the length by repositioning the die at desired cutting point, then run through die-cutting machine again. 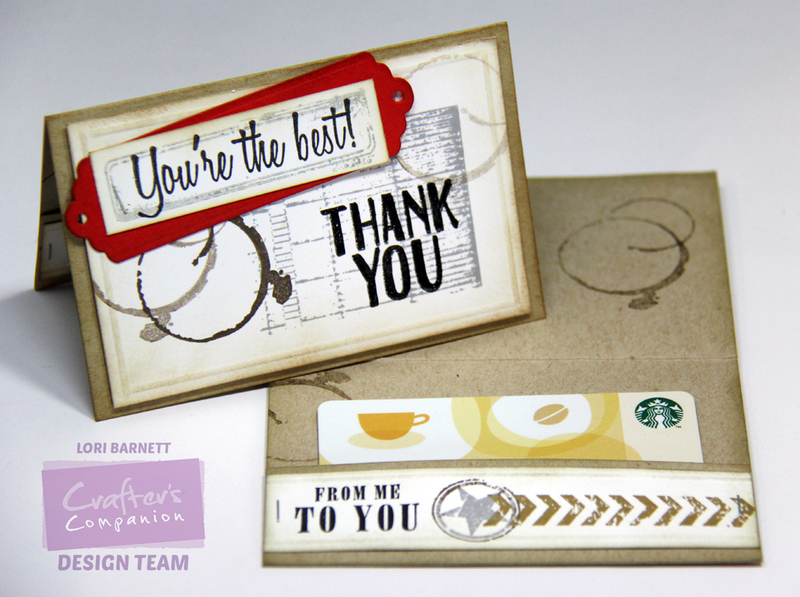 This is a fantastic way to create custom shapes and sizes! Step 4: Using ink blending tool, lightly ink edges of all pieces – including both front and back of main card, inking all the scored edges as well. Step 5: Adhere sentiment panel to red tag. Attach the tag to front panel with a piece of dimensional foam adhesive under the right end, then staple the left end. Adhere entire panel to front of card with dimensional foam adhesive. Step 6: On the inside of the card, fold the flap up and adhere the stamped panel, then staple the ends to create the “gift card pocket”. We would love to see what you make! Share your projects and cards with us on our Facebook page, tag us on Instagram (#crafterscompanion), on Pinterest (@CraftersCompUK) or on Twitter (@CraftersCompUK)!